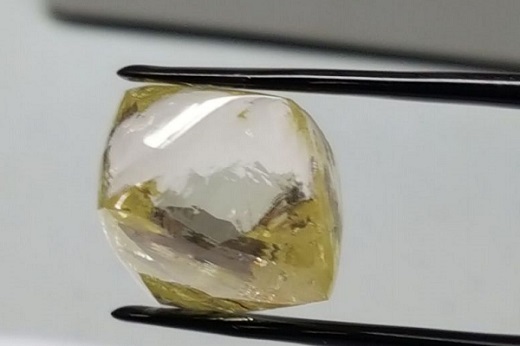 RAPAPORT... Lucapa Diamond Company recovered a 43-carat yellow diamond, the largest colored gem-quality stone it has unearthed to date at its Lulo mine in Angola, it reported Wednesday. A 39-carat pink diamond the miner found at Lulo in September 2016 previously held the title. Along with the yellow gem, Lucapa also recovered a low-quality 116-carat diamond, the second stone larger than 100 carats this year. Earlier this month, the Western Australia-based miner extracted a 103-carat light brown diamond. In total, Lulo has yielded 10 diamonds larger than 100 carats since production began.